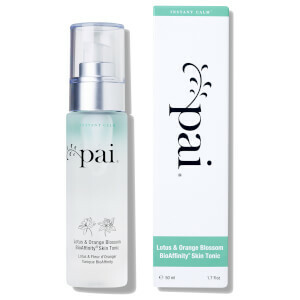 Refresh your complexion with the Camellia and Rose Gentle Hydrating Cleanser from Pai Skincare. Suitable for dry, delicate and sensitive skin or those with rosacea, the alcohol-free cleanser contains Sweet Almond and Castor Oils to effortlessly dissolve the build up of daily dirt, make-up and impurities without over-drying or uncomfortable tightness. Fortified with Camellia Oil; an ingredient rich in nourishing Omega 3 and Vitamins A, B and E, the cleanser protects the skin's natural moisture barrier, whilst Damask Rose Otto Oil leaves your complexion silky soft, supple and hydrated. Complete with a dual-effect cloth that features a textured side for gentle exfoliating and a soft terry side for more sensitive areas. Removes even waterproof mascara. Certified Organic by the Soil Association. Suitable for vegans. Not tested on animals. Contains nut oil. 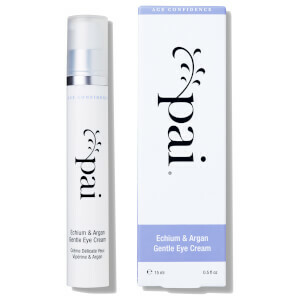 Eyes: Apply a small amount of cleanser to dry, closed eyes, massaging gently. Using soft-terry-side of cloth, sweep over eye to clean and lift away all traces of make-up and cleanser. Face: Gently massage cleanser onto dry skin. Remove using muslin-side of cloth*, with gentle circular movements. Follow with final sweep over face with soft terry-side. * For hypersensitive skin, use only soft terry-side of cloth. Aqua, Camellia Sinensis Seed Oil*, Ricinus Communis (Castor) Seed Oil*, Prunus Amygdalus Dulcis (Sweet Almond) Oil*, Cetearyl Alcohol, Vegetable Glycerine*, Butyrospermum Parkii (Shea) Butter* , Cetearyl Glucoside, Rosa Damascena (Rose Otto) Oil*, Pelargonium Graveolens (Geranium) Oil*, Lavandula Officinalis (Lavender) Flower Oil*, Litsea Cubeba Fruit Oil* - May Chang Oil, Mixed Tocopherols (Natural Vitamin E), Sodium Lauroyl Lactylate, Sodium Anisate, Sodium Levulinate, Lactic Acid, Glyceryl Stearate Citrate. *Certified Organic. Fantastic Cleanser - well Fantastic company! Really good cleanser that doesn't stink or irritate in any way, so glad I have found this, it cleanses so well without stripping the skin. Worth every penny. Love this product, has really helped in taking away slight redness around my cheeks and nose - an excellent product.